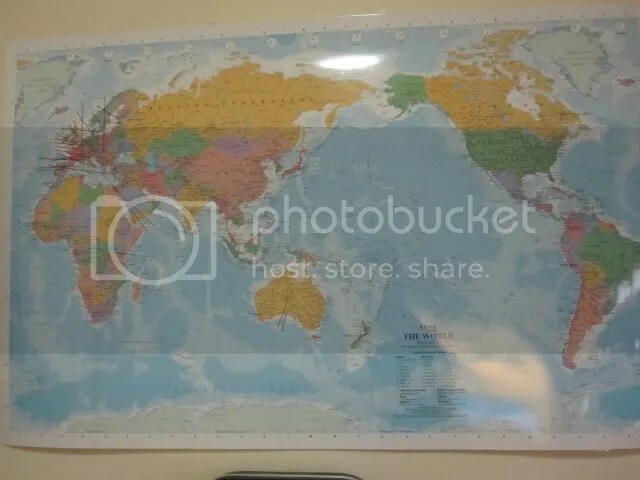 Something I had wanted for a long time was a huge world map on the wall. 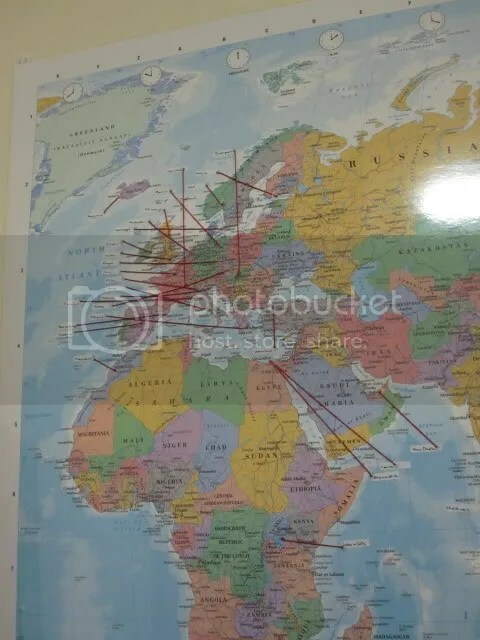 When I finally got one, Himself and I had the brilliant idea that we should mark it all up with all the places we wanted to visit. Keep our goals in plain sight as it were. So we began putting little labels all over it of where we wanted to visit. Quite quickly a pattern became evident as to where we really wanted to get to, and what part of the world held the most interest for us. Can you guess where we’re moving to? We’re boarding a plane tonight! All our things are already on their way by sea and will reach us there in a few months. The kittuns are in boarding and will follow us in a few days. We’re off on a grand adventure!!! See you on the other side. Of the world!